Gluten Free, Paleo & Keto Cookie Dough Fat Bombs 🍪 1g net carb a pop! 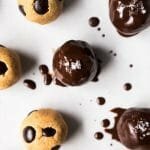 These paleo and keto cookie dough fat bombs are some of the easiest, yet tastiest, fat bombs you’ll make. 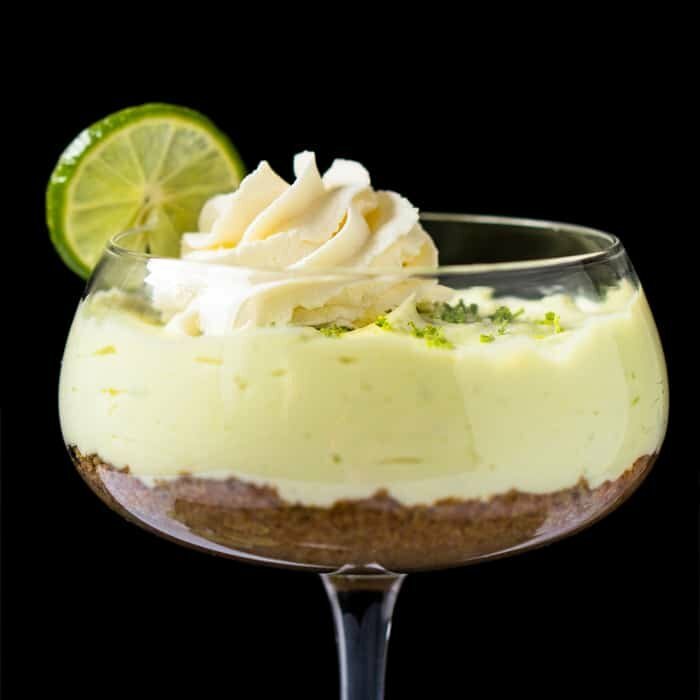 Think five ingredients and just 1g net carb each! 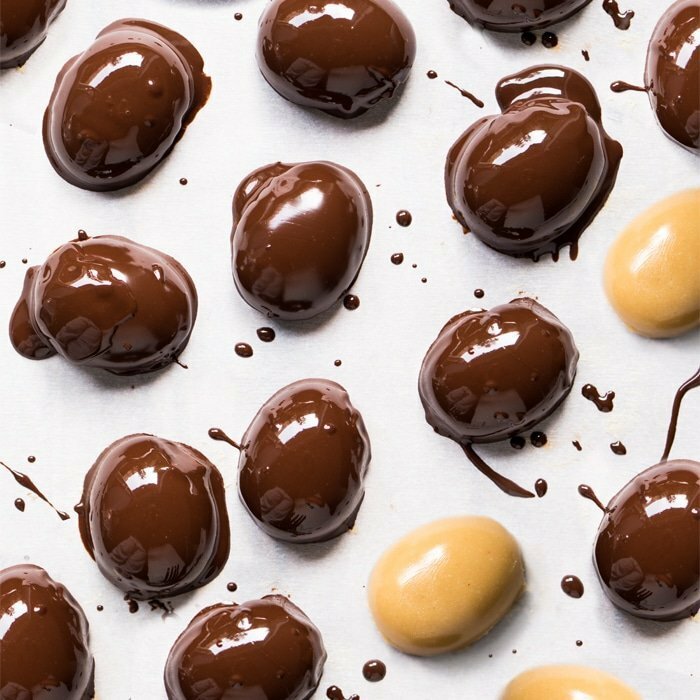 These keto fat bombs are filled with healthy fats, on account of the almonds and either grass-fed butter or coconut oil. Keep them handy in the fridge for the ideal small sweet treat. 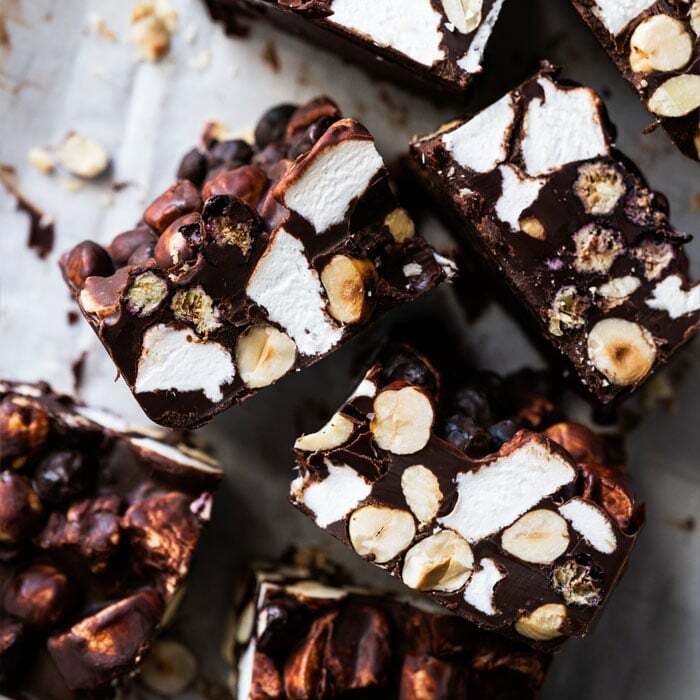 You can also indulge in these guys solo, or go ahead and dip them in a little dark chocolate and sprinkle with some flakey sea salt. Honestly to-die-for, and you probably know already we don’t take these staments lightly. Alternatively, you can use coconut oil or butter if paleo or dairy free. Just keep in mind that a coconut taste will linger, though we must say it goes wonderful too with the toasted almonds. We found here that super fine almond flour did a killer job (solo!). You’ve got options here. Think Swerve, Pyure and xylitol. But they must be powdered. Xylitol gives the least aftertaste here of the lot, but at a higher GI so just keep that in mind. 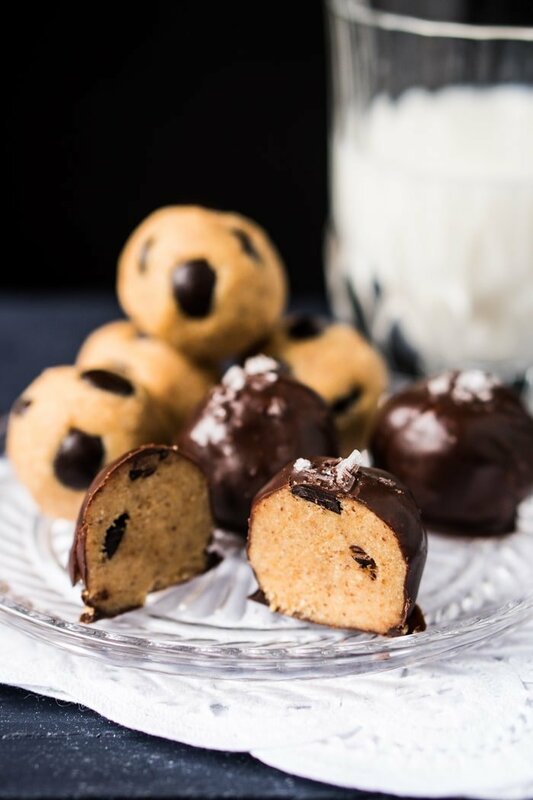 These paleo and keto cookie dough fat bombs are some of the easiest, yet tastiest, fat bombs you'll make. Think five ingredients and just 1g net carb each! Add almond flour to a dry skillet or pan, and toast over medium heat until golden and fragrant (3-6 minutes). Remove from pan, whisk in salt and set aside to cool completely (very important!). Cream butter in a large bowl with an electric mixer, 2-3 minutes. Add in sweetener and continue to beat until thoroughly mixed and much of the sweetener has dissolved. Add in vanilla extract and beat until just combined. With your mixer on low, add in half of your almond flour mixture- mixing until just incorporated. Mix in the rest and fold in chocolate chips. Wrap cookie dough with cling film (saran wrap) and refrigerate for at least an hour. Spoon out cookie dough and roll into rounds. Keep in the fridge for up to 5 days and in the freezer for up to 2 months. 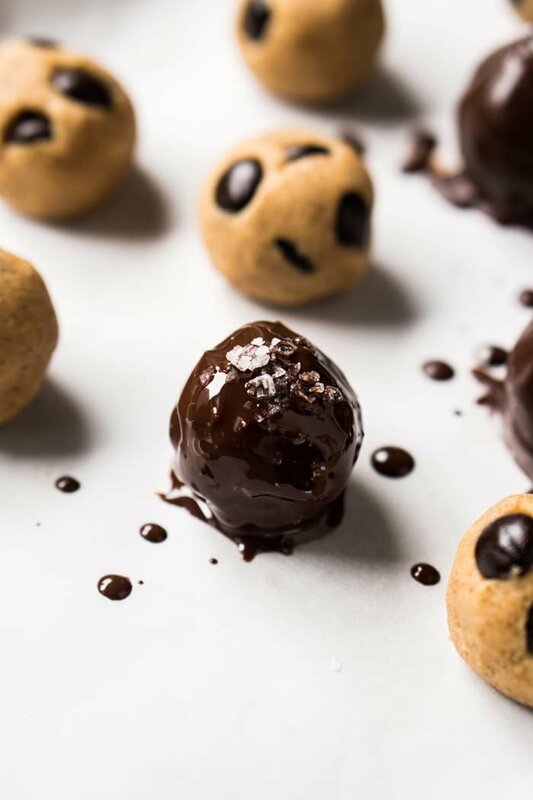 Optional chocolate coating: place cookie dough fat bombs in the freezer for 15 minutes. 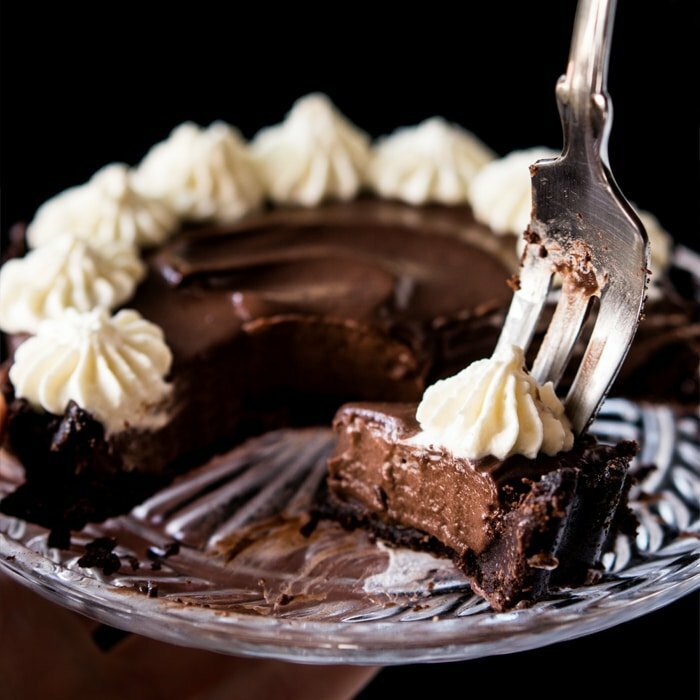 Meanwhile melt chocolate for coating in a water bath or microwave, set aside to cool slightly. 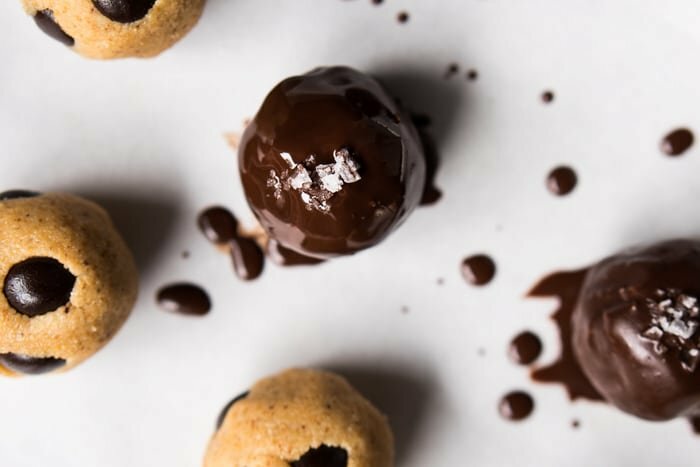 Dip cookie dough into chocolate, place in a parchment paper-lined tray, sprinkle with sea salt (optional), and refrigerate to set. Please note that we calculated nutrition facts per fat bomb (20g) and we found each batch to yield roughly 15. Do you think I can leave the whole large dough in the freezer? Then let come to room temperature and make into balls later on? Thanks! Brown sugar is really what makes a chocolate chip cookie for me, so I replaced 30g of the swerve confectioners for swerve brown sugar and it really achieved the flavor I was looking for. Thank you for the recipe! THIS LOOKS SO GOOD!, LOVE YOUR RECIPES!, HOW ABOUT A CHICKEN IN A BISCUIT CRACKER RECIPE – KETO STYLE. This was so good when I first made it but after leaving it in the fridge overnight it a block and it’s hard to eat without gagging🤢. Is there any way to make it into your fabulous chocolate chip cookies? Hi Cindy! The butter went back to its solid state once in the fridge, so just let them hang out in your counter for a bit before indulging (as you do butter! ;)). You could make the shortbread possibly, but would need to add an egg (let the batter come to room temp so you can beat in the egg) xo! Hey Paola! Your a genius. Both recipes are the same except for the the xanthan gum. Do I really need the egg to incorporate everything for shortbread? Why don’t you try and bake a couple as they are and if you like them just go for it, otherwise incorporate the egg (a bit better texture in my opinion) xo! You inspired me! I actually added a egg yolk, baking powder little more butter and sweetener to make thumbprint cookies using your Chia berry jam. They turned out awesome. I’m not usually a intuitive baker and I need a recipe so I probably couldn’t replicate this again but you have given me confidence through your recipes. Thank you for hard work! Your recipes are the best!!! Can I use a different sugar substitute? We are trying out paleo in the house and not sure if that’s a sweetener we should be using. Also, don’t have it in the house. I have coconut sugar, raw honey, stevia extract. Thanks! Hi Alex! 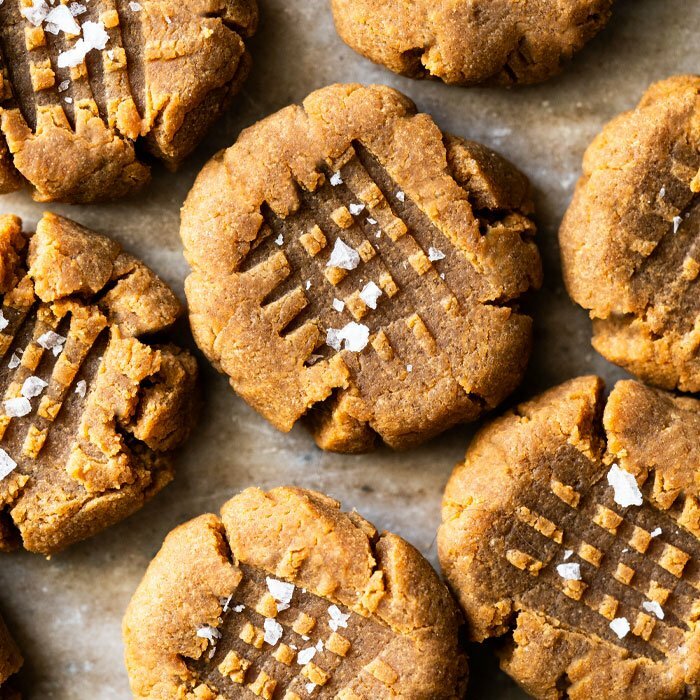 Coconut sugar would work great with these (and you can sub it in to all the recipes on the site that call for Swerve or xylitol!) xo! 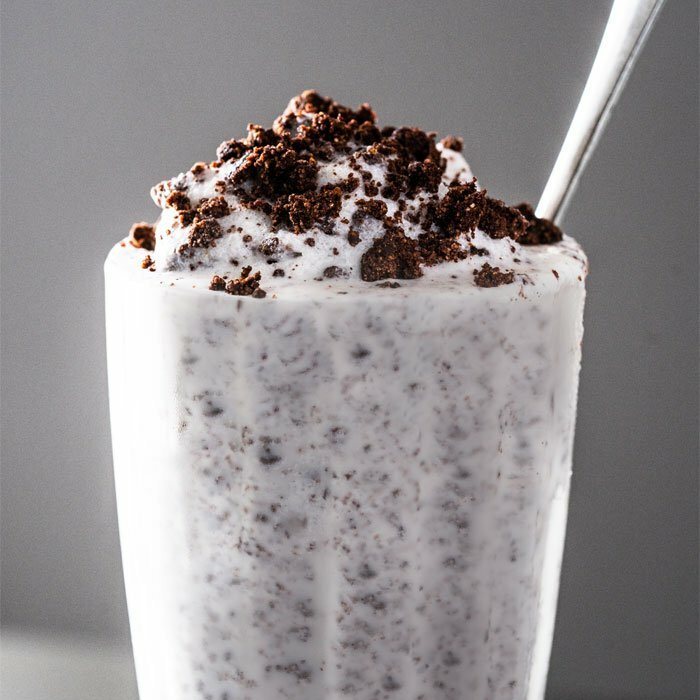 I’m dairy free – could you make this with coconut oil instead? Hi there! Yup! It’s stated in the notes in the post 😉 xo! You can use coconut oil or butter if paleo or dairy free. Just keep in mind that a coconut taste will linger, though we must say it goes wonderful too with the toasted almonds. Are the nutritional facts including the chocolate coating or no? Just want to make sure I’m counting right! 🙂 thanks! Hi Marissa! They aren’t as nutrition info for chocolate varies SO much from brand to brand. Enjoy! As usual, YOUR RECIPES ARE THE BEST! This was soooooooooooo good. I can’t believe I am losing weight this way, but 20 lbs down, five to go! OH WOW congrats Ellen!! And so happy you’re enjoying the recipes! 🙂 big kiss! …and toasting the almond flour is genius. It gives such a wonderful flavour. These are delicious! I can’t believe that they are keto. I followed another comment and put the cookie dough crumbles on top of whipped cream. I dipped blackberries into the mixture. YUM! Wow these are fantastic! Most definitely the best keto cookie dough I’ve ever had. Instead of rolling them into balls, I left it very crumbly, and basically made a parfait with the cookie crumbles and whipped cream. These are HEAVENLY!!! My one complaint is that it’s hard to eat just one!! Excited to test out this recipe! Should the butter be salted or unsalted? Thanks! Hi Rayan! You can technically use both (just a taste preference). If you like salted cookie butter go for the salted (just don’t add the extra kosher salt!). xo!